Flowers in fashion have a long history. A staple for many designers and fashion houses, these have been — and continue to be — stylised in numerous ways, many of them attaining iconic status. It isn’t surprising therefore that the motif is so prevalent today that it lends a touch of femininity and versatility to any garment. Inherently beautiful, and synonymous with spring collections, it is refreshing to see Karl Lagerfeld present flowers for a fall collection in Fendi’s haute fourrure show, where exotic botanicals come alive in perfect synergy with exquisite craftsmanship. 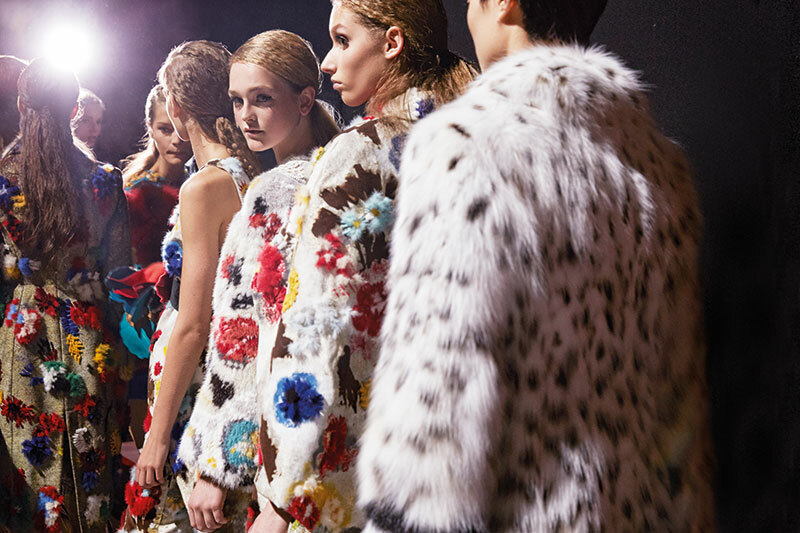 The high-fashion fur collection, Flowers From Another World, celebrates nature in the most exuberant and unexpected way. 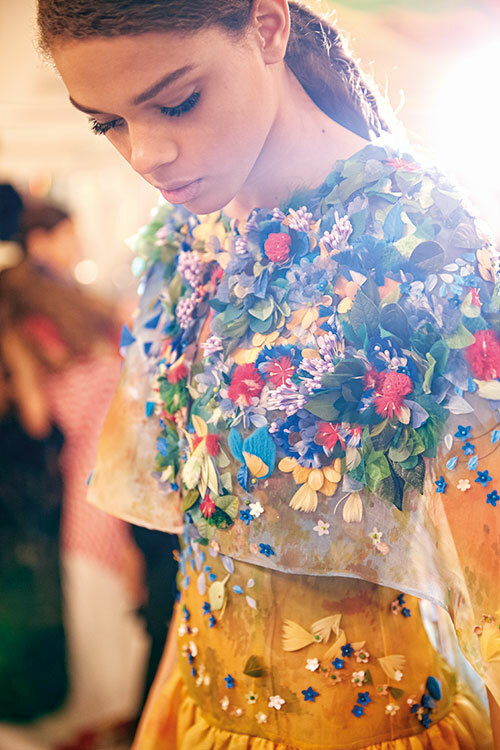 Symbolic of the maison’s creativity, exceptional workmanship and extraordinary attention to detail, the collection brings to life a verdant garden delight made of magnificent and ethereal beauty. Third-dimensional versions of the iris, crocus, daisy and poppy in lynx and sable, or woven as a metallic jacquard, graced the enchanting, mossy runway displaying painstaking luxuriousness. Revolutionary techniques create new styles, wherein mink is re-assembled as an opulent lace fabric to create collars and cuffs accenting tinted sable and pastel Persian lamb. 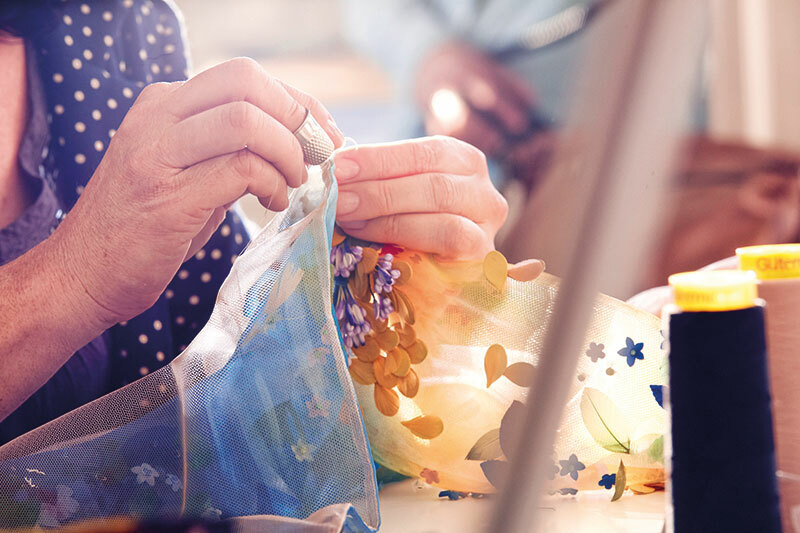 Hand-cut into meticulous pixel confetti, thousands of discs are stitched onto silk organza. 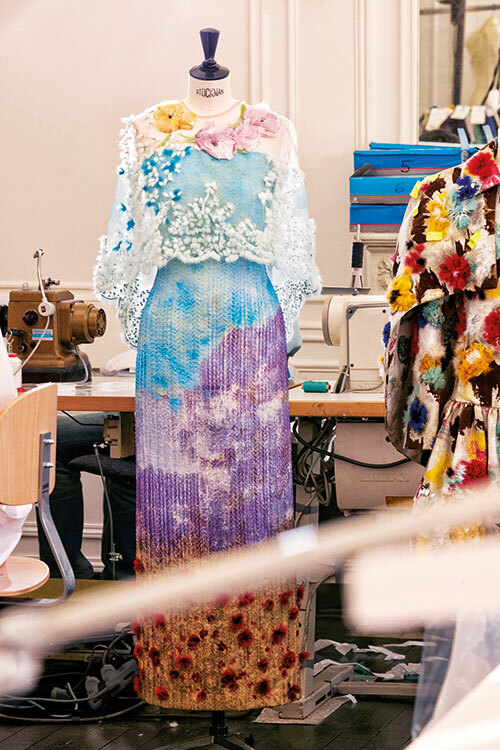 Otherworldly flowers — the cynosure of the collection — like blue poppies (that don’t exist in reality) are made from tiny pieces of shaved mink and embroidered onto jackets and dresses, exuding beauty, luxury and fantasy. The backstage buzz, striking collection and model Bella Hadid have been beautifully captured by renowned photographer Benoit Peverelli, reinstating that flowers — mink or real — are here to stay!